Each year I grab any opportunity I can to visit authentic Christmas Markets across Europe. These bustling markets are a pleasure to visit and would even warm the heart of Mr Scrooge. Quaint wooden huts decorated in festive attire sell traditional gifts and seasonal food and drink. European Christmas Markets can be romantic, charming, fun and exciting all-in-one. It's easy to get lost in the festive cheer. Each year DFDS runs a series of mini cruises to the most popular Christmas Markets in Germany, Belgium and The Netherlands. Having sailed on a couple I can wholeheartedly recommend them as a great winter short break holiday. Here is why. Cologne is a really beautiful city and it becomes even more special at Christmas. When I visited there were eight separate Christmas markets on offer. 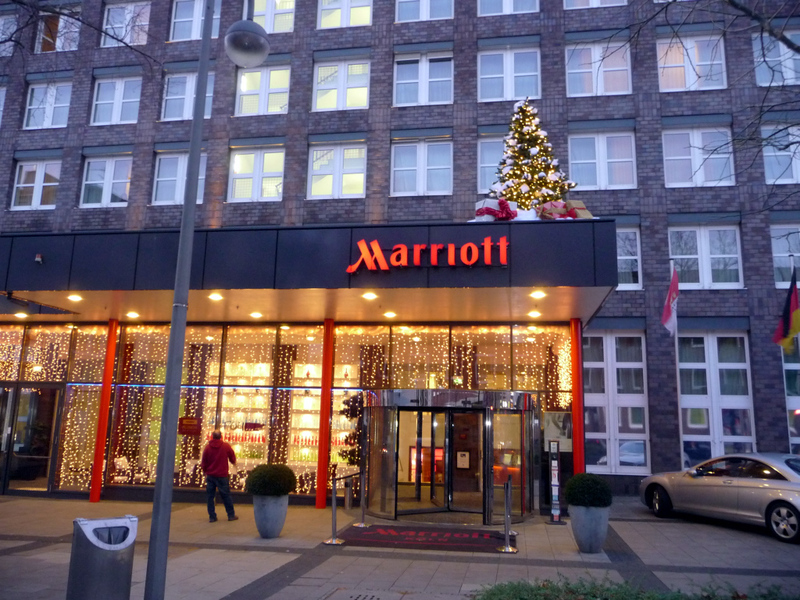 Two nights in the very comfortable 4* Marriott Cologne hotel on Johannisstrasse offers plenty of time to see the sights and explore many of the Christmas Markets although you do need to plan your trip carefully if you want to visit all the different markets on offer. The Cologne Cathedral Christmas market is by far the biggest and most popular - but with that comes vast crowds. We visited the market a couple of times and on both occasions we felt more like sheep being herded rather than being able to meander at a leisurely pace. The crowds knew where they wanted to go and we had no choice but to follow, making a loop of the markets with great difficulty reaching any of the stalls. This is the biggest market in Cologne and is free to look around so attracts flocks of locals as well as tourists to what is a relatively small footprint. Pick your times wisely and you should be able to move through this market at a leisurely pace. Alternatively merge into the crowd and experience one of the most authentic German Christmas Markets you will ever find. 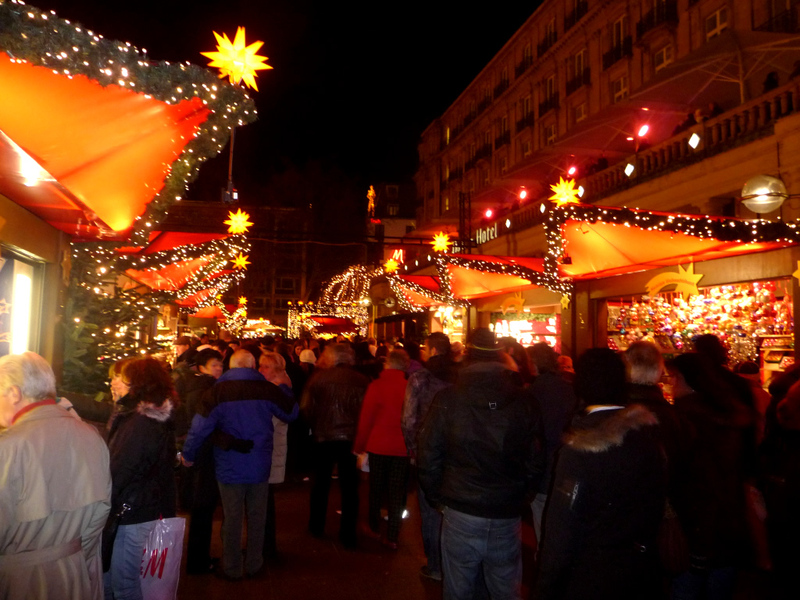 The Neumarkt Christmas market is ideally positioned next to Schildergasse, one of the main shopping streets in Cologne. This was a little quieter than the markets at the Cathedral but was still busy. My favourite markets were at Heumarkt and Altstadt. These two separate markets seemed to merge into one and featured a range of stalls selling local crafts such as candles through to those that were piled high with bars of tasty fudge, chocolates and more. These markets offered everything the Cathedral markets offered but in a significantly calmer manner. Here we could meander a lot more and browse at our own pace. 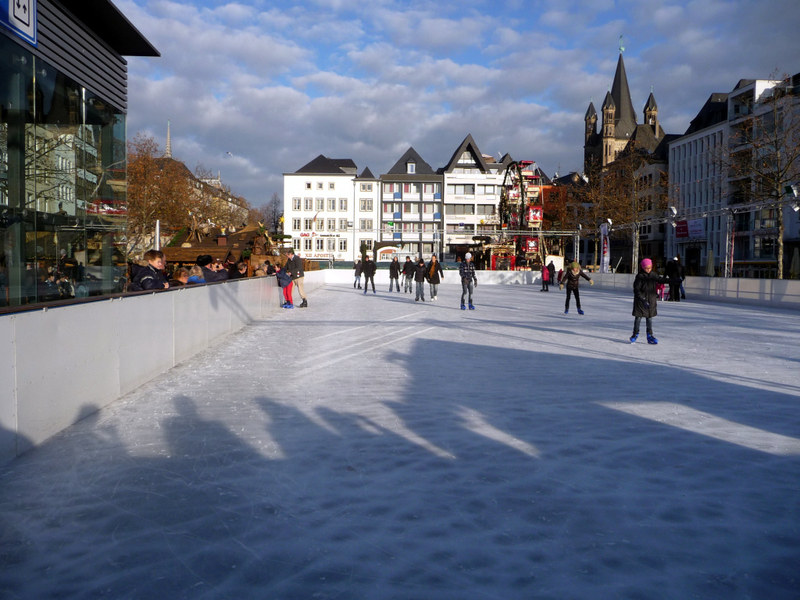 There was also an ice rink which was popular with families and something none of the other markets we visited offered. 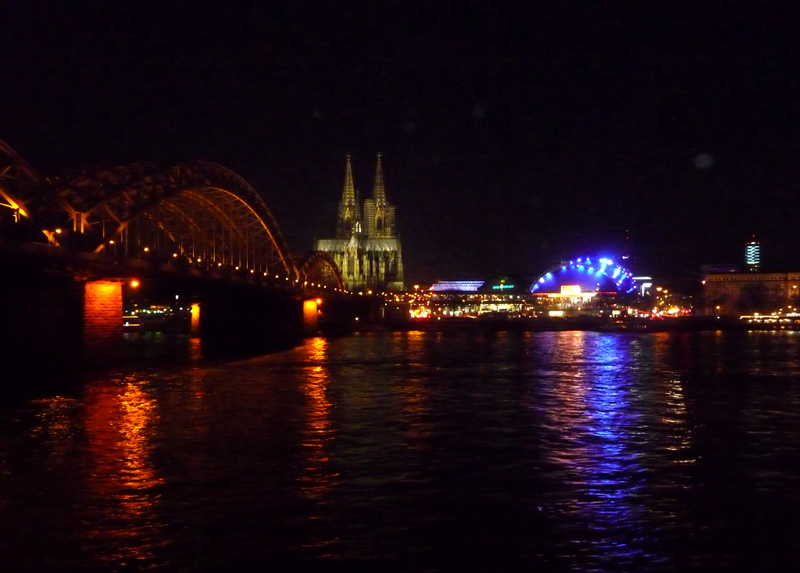 Make sure you visit the key attractions in Cologne besides the Christmas Markets. The very solemn Cologne Cathedral is definitely worth a visit. Leave the hustle and bustle of the outside world behind as you step into this quiet, cavernous cathedral. Head to Hohe Straße and Schildergasse for some retail therapy. Hohenzollernbrücke Bridge is an iconic bridge that features in many tourist photos (mine included!). 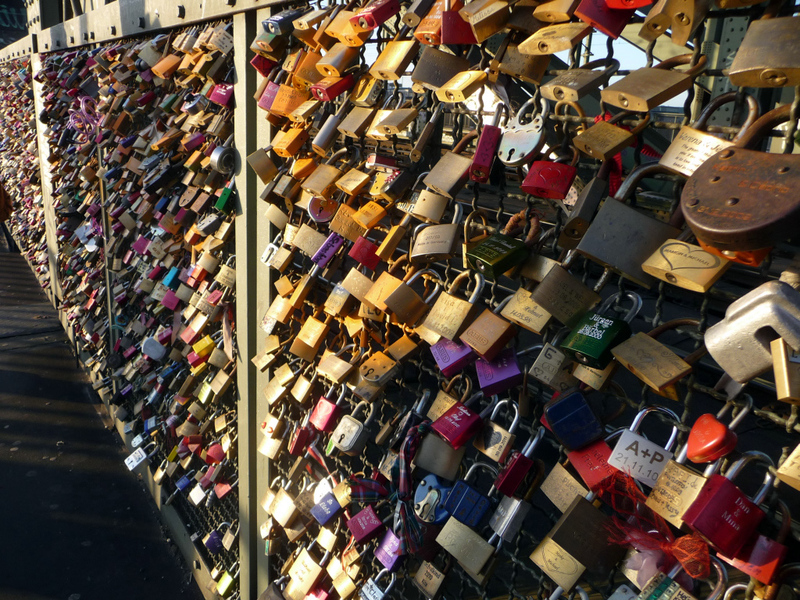 When we walked across the bridge we couldn't help but notice the 'Love Lock' padlocks plastered across the fencing. This tradition of placing a padlock on the fence to symbolise a couple's love for each other has created a unique space. Some call it vandalism, others call it art. 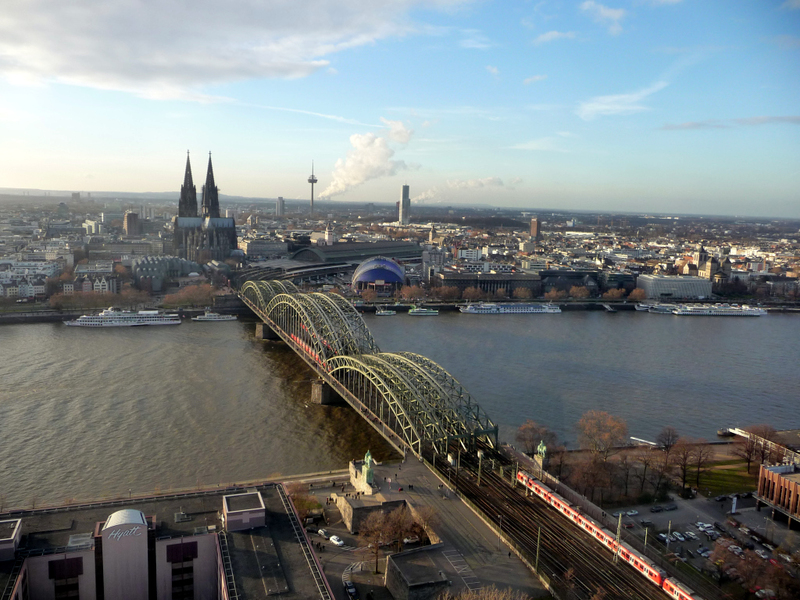 KölnTriangle Observation Deck is arguably one of the best kept secret vantage points Cologne has to offer. It offers fantastic views over the city and the Rhine river. Lastly, due to the location of your hotel you are likely to walk through the Köln Hauptbahnhof railway station a number of times. This is more like an indoor shopping centre than a train station, with shops and restaurants lining the corridors, and so is a destination in its own right. TRIED AND TESTED! You can read my full Cologne Christmas Markets mini cruise review here. Brussels is home to my favourite Christmas Market. This is spread across a generous stretch of the city and encompasses lots of different aspects. 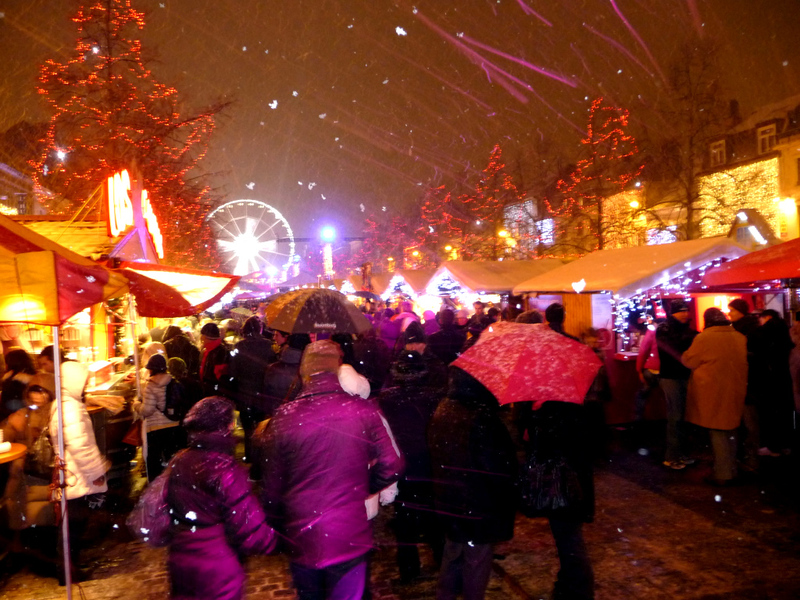 Dozens of stalls can be found a few steps from the hotel at Place St Catherine (Winter Wonderland) along with an ice rink and a 60 metre-tall big wheel. 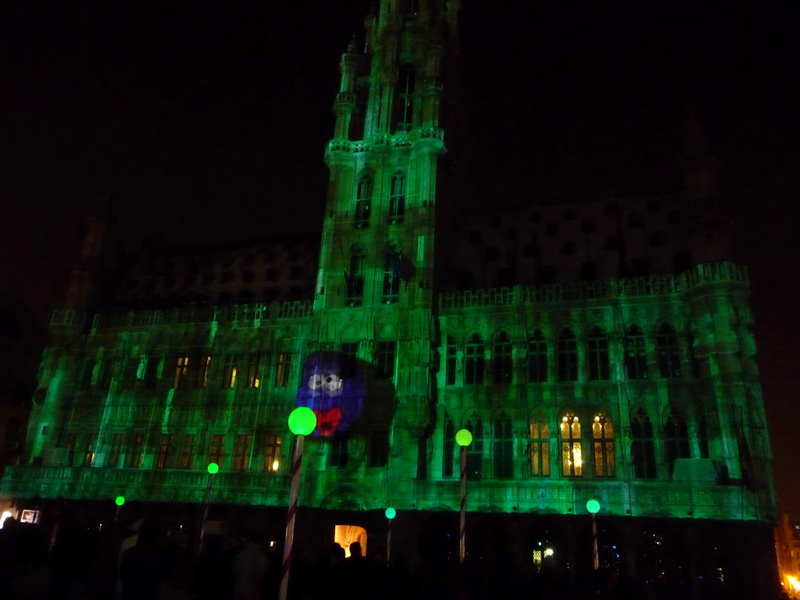 The festivities continue along the streets to Grand Place where an amazing light and sound show is held each year. The memorising displays attract large crowds each night. Make a beeline for the food trucks and food stalls that serve delicious food. They are incredibly popular and so food is always hot, fresh and perfect on a cold winter's night. Hot dogs cooked on a massive open fire, authentic Belgian frites and Belgian waffles can all make a filling meal on-the-go. Besides the Christmas markets Brussels has quite a few attractions to check out. 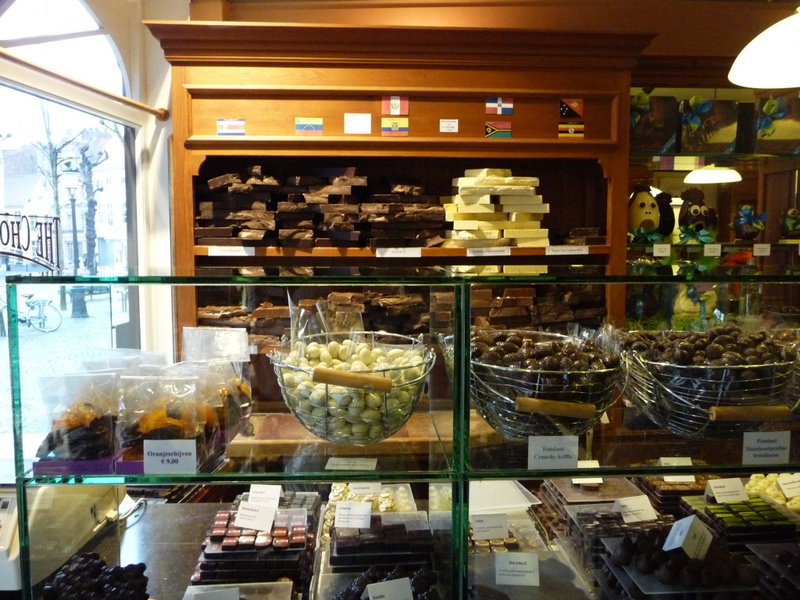 It also has an abundance of chocolate shops although be warned not all of them sell great tasting chocolate. If you want something authentic then avoid the shops with tall piles of 'cheap' boxes (they are priced relatively highly but would attract value pricing in a supermarket) and head to the small artisan producers that are tucked away around the city. These alone are reason to visit the city - the chocolate is THAT good! The short break with DFDS Seaways includes a couple of nights in the 3* Ibis Brussels Centre St Catherine hotel. A few years ago they used the Novotel Centre Tour Noire which was one of the best hotels we have ever stayed in. It was spacious, very comfortable and the breakfast buffet was expansive. The Ibis alternative is just behind the Novotel hotel and when we last stayed there we found the hotel to be small, tired and somewhat lacking, although it is perfectly fine for a couple of nights. It does, however, sit a few steps away from the action so you really cannot fault the location. 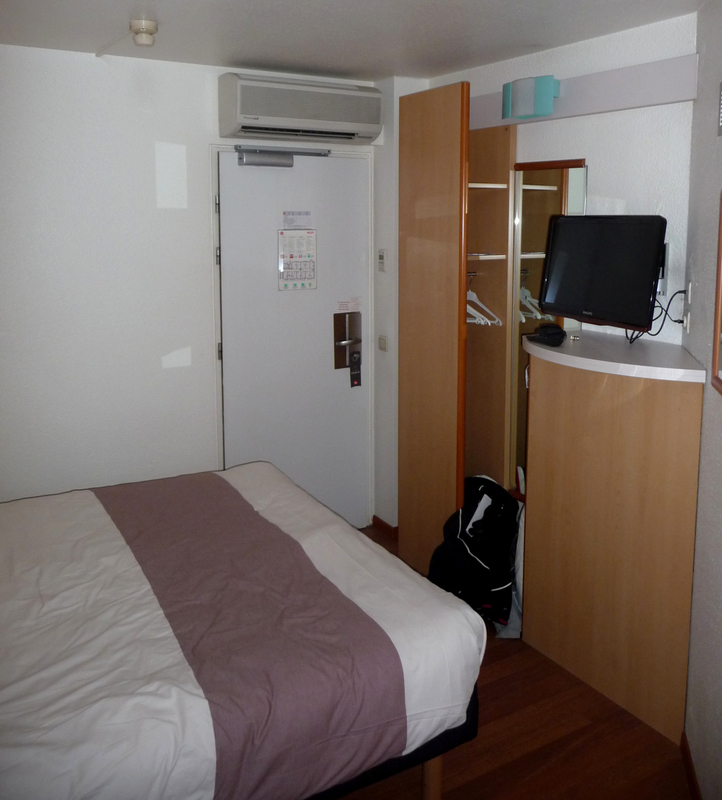 Our tiny room at Ibis St Catherine which had barely enough space for the bed! TRIED AND TESTED! You can read my full Brussels Christmas Markets mini cruise review here. Prices start from just £219 per person for a four-night Brussels Christmas Markets mini cruise with DFDS Seaways °. This includes two nights in an en-suite accommodation on-board, two nights bed and breakfast in the 3* Ibis Brussels Centre St Catherine hotel, coach transfers to and from Amsterdam and live on-board entertainment. Bruges is a magical, historical city and worth a visit at any time of the year. But at Christmas it becomes even more special thanks to the Christmas Market that sets up shop at Grote Markt. This traditional market features wooden huts lined with gifts and tasty treats. The ice rink is loved by families and looks pretty set amongst the Medieval buildings typical of Bruges. Bruges, like Brussels, offers plenty of fantastic chocolate shops making it a great place to stock up on some tasty Christmas gifts. I would wholeheartedly recommend visiting Dominique Persoone's The Chocolate Line which offers both traditional, safe chocolate truffles as well as some more unique flavours. Bruges also boasts many top-rated restaurants and a number of museums too. Amsterdam isn't as famous for its Christmas Markets as it is Christmas shopping. While there are small Christmas markets dotted around the city they aren't anywhere near the scale of Brussels or Cologne. You can find market stalls on Leidseplein and Koningsplein. You'll even find an ice-rink too. What the city lacks in its Christmas Markets it more than makes up for with its retail offerings. 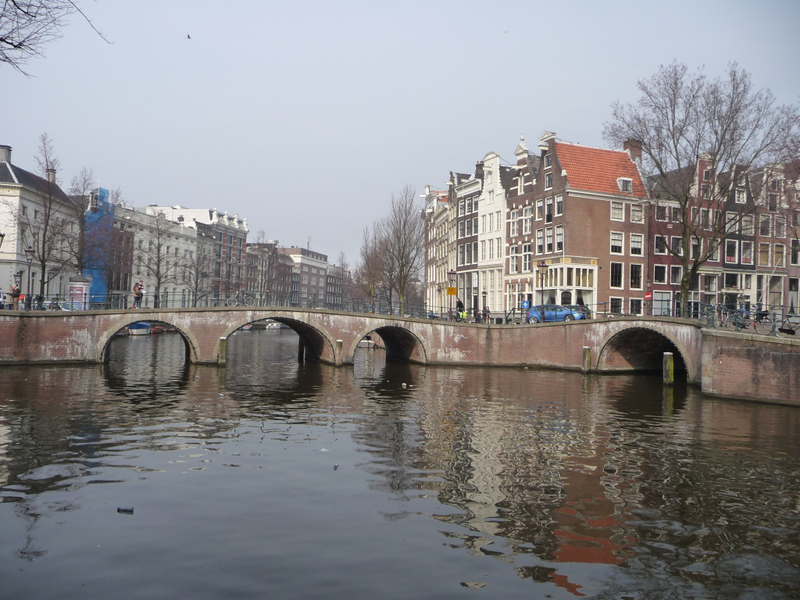 If you are after a great deal on your Christmas gift shopping then heading to Amsterdam is a great idea. The Dutch capital is famous for its excellent shopping, with everything you could possibly want from huge department stores to trendy and unique boutiques. At Christmas time, the city is illuminated with festive decorations along the cobbled streets and canal ways, transforming this city into a winter wonderland. Following Christmas there's one more major mini cruise event in the calender before the year is over - the traditional New Year's Eve mini cruise. This is a seriously popular cruise each year and one that fills up very quickly. This mini cruise departs Newcastle in the early evening on 30 December where you can enjoy live entertainment and music on your overnight crossing. You will arrive in Ijmuiden the next morning and a short coach transfer will take you into Amsterdam city centre where you will have up to 5 hours to spend at will. Catch the coach back to the ship before getting getting ready for the New Year's Eve celebrations. The ship will take a leisurely cruise down the North Sea Canal towards Amsterdam and en-route you can feast on either a lavish gala buffet dinner or a delicious 3 course à la carte meal depending upon the package you book. Enjoy all-inclusive drinks that night before toasting the arrival of the new year with your fellow passengers and crew. Head out on deck to see the famous Amsterdam fireworks display light up the sky as the new year begins. The atmosphere on-board will be electric. The next morning you can enjoy a lazy breakfast on-board before exploring Amsterdam city again. After spending the first day of the year in this wonderful city you'll head back to the ship and then back to Newcastle, arriving early the next morning. Prices start from just £189 per person for a three-night Amsterdam New Year's Eve mini cruise with DFDS Seaways °. This includes three nights in an en-suite accommodation on-board, live bands and international acts, a gala buffet on New Year’s Eve, an all-inclusive bar on New Year’s Eve with sparkling wine at midnight, a hot and cold buffet breakfast on New Year’s Day morning, and coach transfers to / from Amsterdam. The open decks on the ship are also a great place to view the the Amsterdam fireworks on New Year's Eve. Prices start from £219 per person for all of this with an upgrade to a 3 course à la carte menu on New Year’s Eve instead of the buffet. Book early to secure a good price and a place. The Christmas short breaks fill up quickly, particularly the New Year's Eve cruise. Plan your time wisely to get the most out of the trips. If you simply want to meander around the Christmas markets then there's plenty of time to do that but if you want to cram in some sightseeing too then you'll need to use your time wisely. Pack light and make sure you have room for souvenirs. You will undoubtedly find treat that would be perfect as Christmas gifts while you are on holiday. To that end, take a few extra Euros in case you stumble across gifts and souvenirs that you simply must buy.